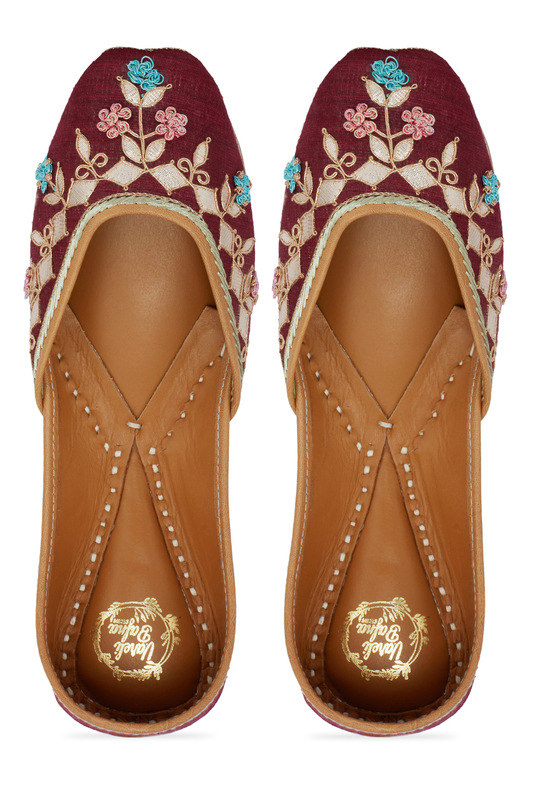 Vareli Bafna designs a pair of ethnic juttis using khadi silk primped with golden french knot flowers along with gotta work. Team the pair with your lehenga ensemble for a groovy sangeet night. CARE: Keep away from water.